March, the beginning of Spring when flowers start to bloom, is a beautiful time of year for outdoor weddings. Why settle for boring accessories on such a special occasion? 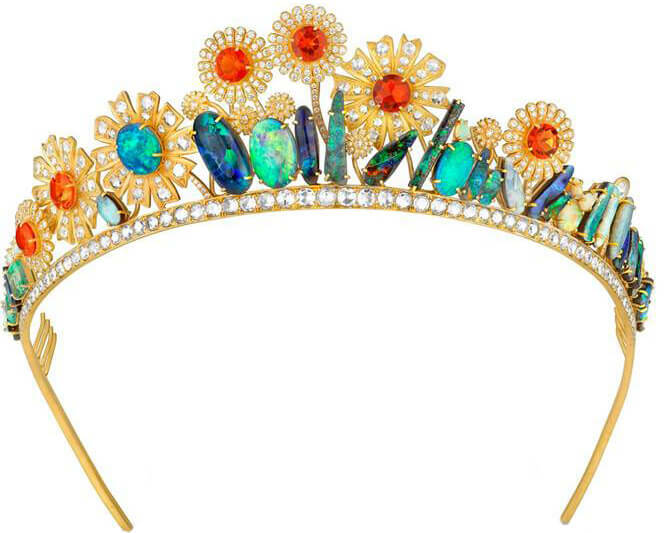 Here’s our 2016 selections for unique Spring bridal tiaras. Not fond of the heaviness of metal? 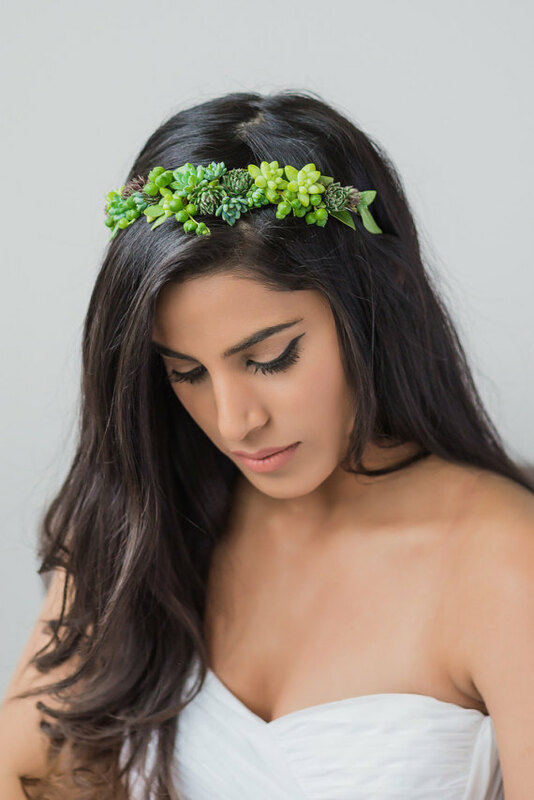 This organic tiara with it’s lush green and delicate placement of succulents makes it a unique alternative to flowers for the natural Spring bride. 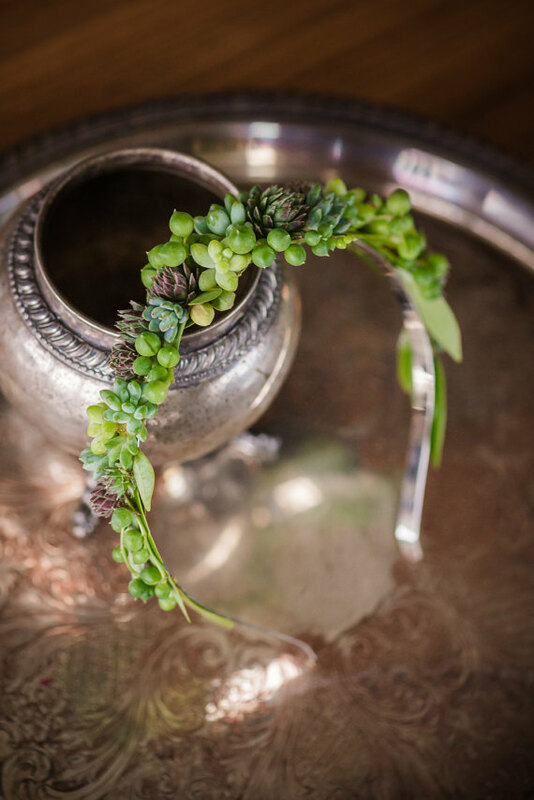 Each succulent is grown by a small family-owned greenhouse, and is hand selected for each piece. Although they are intended for special event wear, each tiara can be worn and enjoyed for 2-4 weeks. At this point, the plants will start to grow off the base. Gently remove the plants, pot them, and enjoy them as a keepsake for years to come. Not wanting to stray too far from tradition, the Hibiscus Tiara, offers the modern yet still traditional bride an elegant alternative to the common diamond and pearl tiaras flooding the market. 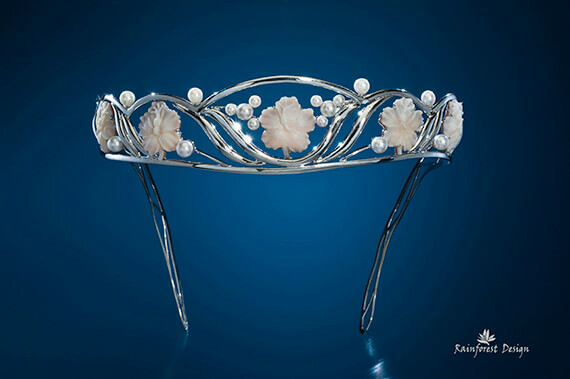 It’s the first cameo tiara ever made with Queen’s Helmet shell, sometimes referred to as Sardonyx Shell, which gives the piece an exotic flora style from an unspoiled tropical paradise. Ideal for a classic ocean side wedding. 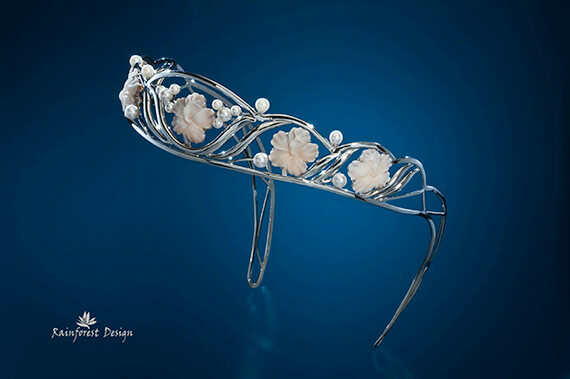 Set yourself completely apart from any other bride with the truly one-of-a-kind romantic late nineteenth century tiara. 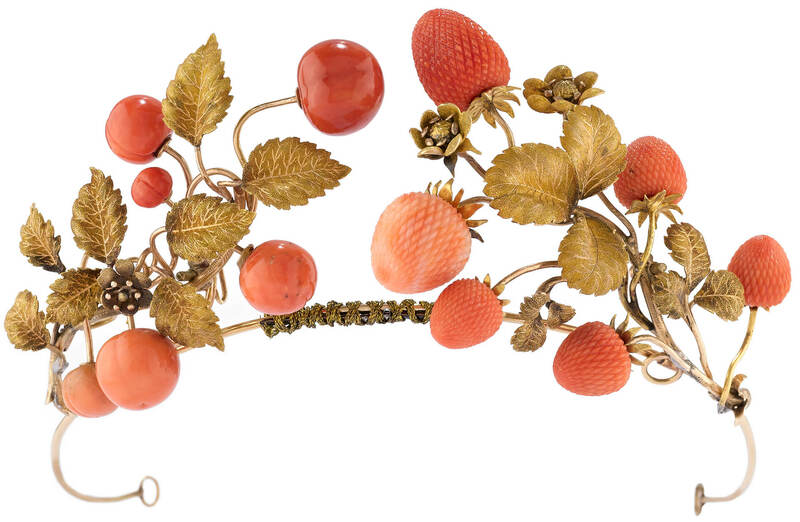 Wannenes Gioielli gold tiara is made with a leaf-motif and floral decorated with strawberries in coral ( auction estimate 7000 to 12000 EUR). 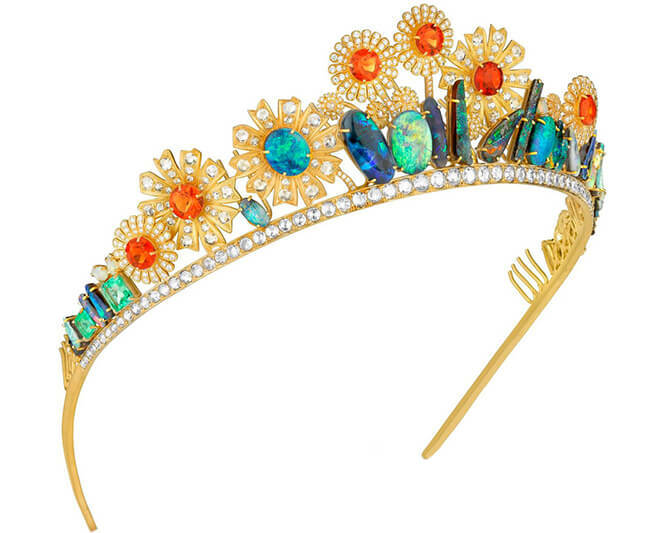 Our final Spring tiara alternative is a refreshing change from old school royalty, the Joanna Newsom tiara. 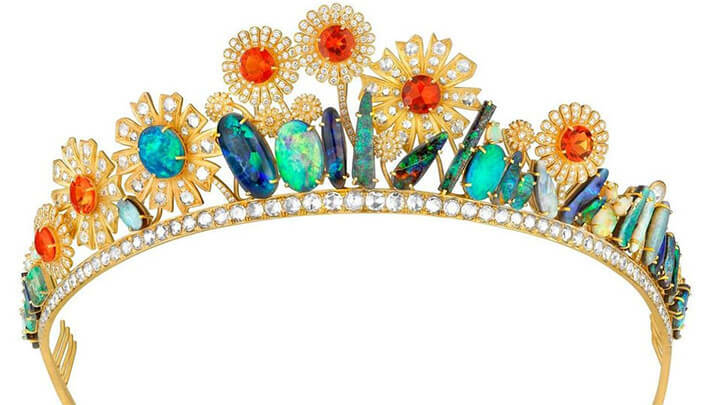 As stunning as a blooming spring garden, the design is wreath of flowers made out of fire opal, Lightning Ridge black opals, boulder opals, emeralds, and diamonds. The designer, Irene Neuwirth, worked on it for seven months in order to create the perfect design to accompany Joanna Newsom’s ‘pastoral maximalism’ wedding theme inspired by Czech Art Nouveau and Austrian secessionism and Greek agrarian mythology. There is absolutely no reason to look like every other bride when our designers can create something truly one-of-a-kind for you on your special day. Visit our Custom Design section to find out more.